Khloe Kardashian has been labelled "pathetic" and "irresponsible" by her fans after she shared an Instagram post promoting controversial meal replacement shakes. Sharing a selfie of herself posing in her bra and jeans, Kardashian wrote in the "#ad" caption: "Loving how my tummy looks right now you guys! I brought @flattummyco's meal replacement shakes into my routine about 2 weeks ago, and the progress is undeniable." But it didn't take long for Kardashian's followers to slam her post, with The Good Place star Jameela Jamil among the first to comment. Jamil, who campaigns against weight-loss teas and shakes, wrote: "If you're too irresponsible to: a) own up to the fact that you have a personal trainer, nutritionist, probable chef, and a surgeon to achieve your aesthetic, rather than this laxative product … And b) tell them the side effects of this NON-FDA approved product, that most doctors are saying aren't healthy. Side effects such as: Possible Flat Tummy Tea side effects are cramping, stomach pains, diarrhoea and dehydration … Then I guess I have to." "It's incredibly awful that this industry bullied you until you became this fixated on your appearance," Jamil added. "That's the media's fault. But now please don't put that back into the world, and hurt other girls, the way you have been hurt. You're a smart woman. Be smarter than this." Other fans backed up Jamil's comment, pointing out the example she was setting for her 11-month-old daughter True. "This post is everything that is wrong with social media," a fan commented. "Unless you would feed this to your own daughter, stop pushing it on mine," one person wrote, while another added: "You have a daughter, would you get her to drink this crap too? Shame on you for promoting this toxic bs." Other disgruntled followers questioned why Kardashian was promoting the controversial brand given she isn't exactly strapped for cash. 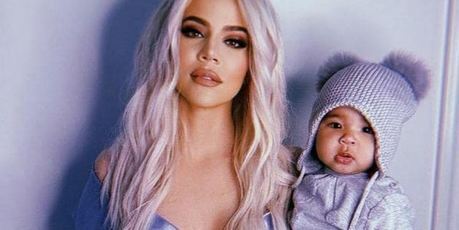 According to Harper's Bazaar, the reality star is worth an estimated $56 million thanks to her denim line Good American and appearance fees for Keeping Up With The Kardashians. "Seriously selling this as if it's going to give anyone a flat stomach is SO IRRESPONSIBLE and pathetic. You have enough money. Ridiculous," one person commented. "It's all about making money so sad, the whole family is so pathetic," another wrote. This article was originally published on nzherald.co.nz and is republished here with permission.